The following are some of my personally recommended products and services for natural families. If you have any questions about the following, contact me on the About page. Thanks! Meal planning makes your whole day run more smoothly. I recommend Meal Planning Central because their menus are highly customizable. If you’re an omnivore, a vegetarian, have food allergies, etc., you can make menus with Meal Planning Central. If you go to the site you can download a free meal planning guide. If you’re like me and like to eat a traditional, Weston A Price style diet, check out the Traditional Foods forum. It has a menu mailer and recipe archive for nutrient dense eaters. You can even get a free sample menu. Find hundreds of free whole foods recipes on this site, or take a look at these healthy cookbooks: 365 Salad Cookbook, Smoothie Recipe Book and Raw Kids Recipes. Cravings Secrets is extremely helpful if you’re trying to change your diet but cravings are stopping you from making healthy improvements. Whether caffeine, sugar or white flour is your downfall, this book will assist you in figuring out why you’re craving these items and how to eliminate them for good with excellent nutrition. This is the best book I’ve ever read on the topic of nutrition for pregnancy and breastfeeding. The advice is a little out of the box but totally sensible. You can also read a review of the product and a transcript of the Fit and Healthy Pregnancy Guide’s author interview here. The Happy Breastfeeder is an 89 page ebook written by yours truly. It contains helpful advice and tips from moms on preventing and overcoming breastfeeding challenges, along with personal stories, product reviews and encouragement. It only costs $1 to download instantly. Nursing bras don’t have to be ugly. You can find really comfortable and cute nursing bras here. 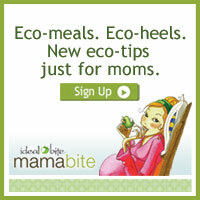 This site also has lots of free breastfeeding advice and information. Mom has fun is one of the best and most effective parenting and discipline books I’ve read. It helps you understand why you react the way you do to your kids, how to put more fun into your life and parenting, how to deal with your kid’s emotions, and how to parent effectively without relying on punishment. Mom has fun is available as an ebook or hard copy book but the authors also have a 120 day parenting course. If you want to coach instead of control, truly discipline instead of punish, you will love this program! If you are a work at home mom or have an online business, you can see my recommended internet marketing tools here. If you want to start an online business or are having poor results with your existing website, check out my Natural Mom Business Guide. It’s the only complete how to e-biz guide for people marketing to the natural family niche. It contains an ebook, audios, videos, printable cheat sheets and more. I’ve read a ton of books on productivity and time management. TONS. But one of the best, simplest systems I’ve found that I now use daily is this: ToDoodlist. Try it. You’ll love it!